Everything You Need to Know About: Family Violence. We are a small 6-12 school library in Maine, near where Stephen King lives. I should send him this book so that he has the imagery he needs for his next super-creepy best-seller. The cover is creepy, every male in the book is creepy, the styles are…ugh…and the 100% female victims are even creepy. The material is outdated (not a single website or “text for help” number in the back) and was pretty horrible, even when it was current. Everyone is white, men are only protective or abusers, women and children are only victims. Very cut and dry, don’t you think? Everything you need to know! I guess it’s not as complicated and thorny as I thought it was! There is no mention in the entire book of getting support from your friends and family, of calling the cops, or anything resembling common sense. 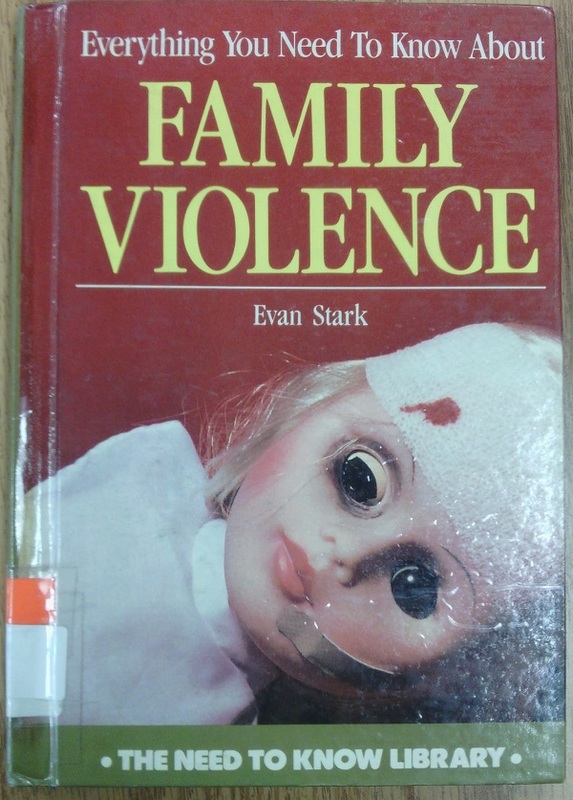 Holly: The cover with the “broken” doll is a bit over the top, but let’s be honest, who wouldn’t pick up this creepy book? But pick it up for information and assistance with family violence? Nope. What do I do when I’m really angry? 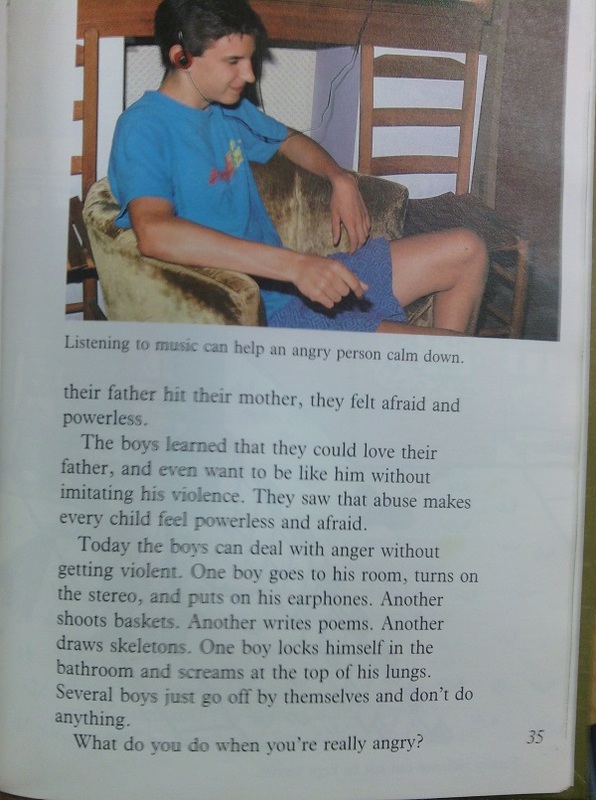 Well, there’s this little website called awfullibrarybooks.com…. I knew a woman (in the 1980s) who regularly beat her husband with a cast iron frying pan. 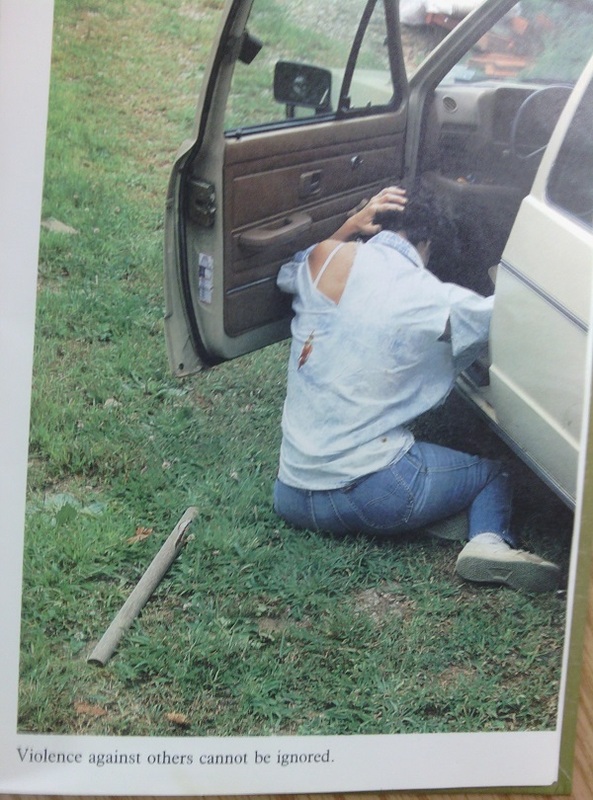 Even then, domestic violence and abuse didn’t match the stereotypes. My goodness, that teenager must be 7 feet tall and could probably send that violent man flying across the room! But my brother was really tall as well. When I was a magazine editor, I noticed that all stories about child abuse were illustrated with a broken doll. It’s the go-to graphic. That looks like a mulleted male trying to hold the door closed from the man in questionable attire. Emergency txt to fashion police! Please send it to SK and let us know his response. He could use it for a horror novel about a librarian trying to weed old editions of Need to Know Library, etc., and having them multiply in the stacks! (Cue the “Psycho” stab music here). It looks like Stephen King is in the first picture anyway!